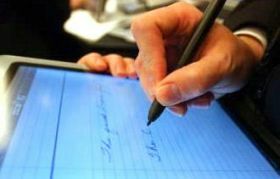 Visitors of the Bakutel 2017 exhibition will be given the opportunity to get electronic signatures for free, a source in Azerbaijan’s IT market told Trend. USB keys for secure access to electronic services will be raffled off in the “Electronic Government” pavilion. The competition winners will need to present their IDs to get e-signatures. E-signature simplifies the access of citizens to electronic services by state bodies. An e-signature can be ordered online. The 23rd Azerbaijan International Telecommunications and Information Technologies Exhibition, Bakutel 2017, will be held on Dec. 5-8 at Baku Expo Center.